This entry was posted in Randy's blog entries on March 28, 2019 by randy. Special notes: click on the blog tab above, and search for most of these book titles with the phrase “lessons and takeaways,” and you will find my blog posts about the book. 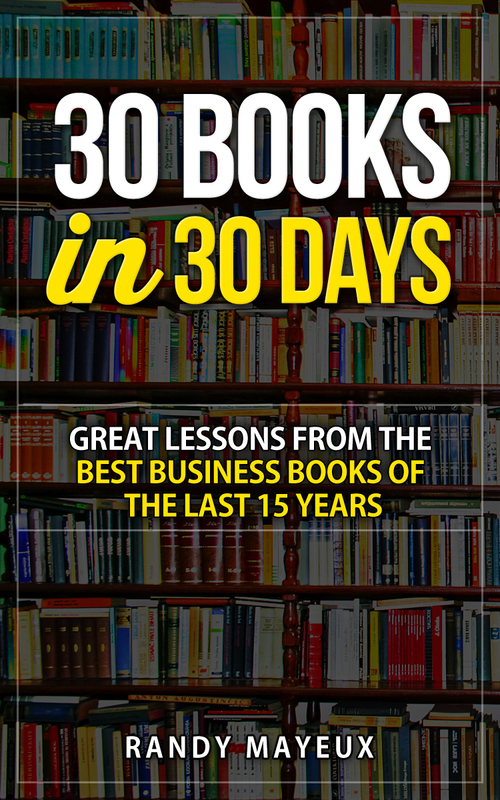 And, after our 15th year, I put a number of blog posts, along with a little elaboration, into an e-book (Kindle only), 30 Books in 30 Days: Great Lessons from the Best Business Books of the Last 15 Years. If you have a kindle or a Kindle app, you might find this book useful. On April 5, 2019, we will begin our 22nd year of the First Friday Book Synopsis in Dallas. Here are a few more highlights in our trip down memory lane. I am doing a fast journey thorough the books I’ve/we’ve presented over the last 21 years of the First Friday Book Synopsis. And, let me repeat myself — oh, my goodness. I don’t know if the books were getting better; if I was getting better at finding the best books; or what!!! But, these last few years, 2016-2019, have been filled with really, really good and useful books. Even for this post, as I tried to keep to a list of just the most important books, I was overwhelmed! But, first, a personal comment. The most important moment in these recent years was the loss of Karl Krayer as a colleague at this event. He and I started the First Friday Book Synopsis in April, 1998, and up until October, 2017, he and I each presented a synopsis of a business book each month. Two books a month; two presenters; for 20 years. NOTE: KARL KRAYER SUFFERED A STROKE IN OCTOBER, 2017. RANDY MAYEUX PRESENTED BOTH BOOKS MOST MONTHS FROM HERE ON. People frequently ask about Karl. He is doing well, though he is not able to return to this work. As one long-time participant put it, “we miss Karl’s humor and smiling face.” Yes, we do. If you made me choose the single most important book I presented these last few years, well, …I’m really not sure. There are quite a few. 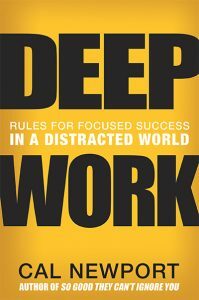 Deep Work clearly differentiates “deep work” from “shallow work.” Here’s one way to think about it: “shallow work” can be done with pretty disengaged brains, whereas “deep work” requires you to fully engage as you focus on the task at hand. One task at hand at a time. At a 2011 industry conference, Wired writer Steven Levy prodded Narrative Science co-founder Kristian Hammond into predicting the percentage of news articles that would be written algorithmically within fifteen years. His answer: over 90 percent. 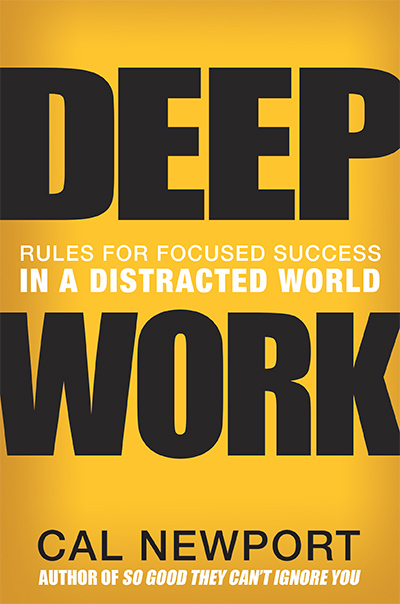 (Here is my “lessons and takeaways” blog post for this book). As you probably know, for every piece of subpar work you accept, for every missed deadline you let slip, you begin to feel resentment and then anger. You no longer just think the work is bad: you think the person is bad. This makes it harder to have an even-keeled conversation. You start to avoid talking to the person at all. We undervalue the “emotional labor” of being the boss. May, 2016 — Smarter Faster Better: The Secrets of Being Productive in Life and Business – Random House, March 8, 2016, by Charles Duhigg – though the title does not reveal it, this is an exceptional book on how to build genuinely effective teams. I have presented my synopsis of this book to many leadership teams. July, 2016 — Peak: Secrets from the New Science of Expertise by Anders Ericsson and Robert Pool. Eamon Dolan/Houghton Mifflin Harcourt. (2016) – deliberate, purposeful practice; that’s the “secret.” It’s not just the (10,000) hours you put in; it is the kind of work you do during those hours that makes the difference. A foundational book! October, 2016 — The Inevitable: Understanding the 12 Technological Forces That Will Shape Our Future by Kevin Kelly. Viking. 2016. – One of the best books to help you make sense of the technbological whirlwind of changes we are going through. December, 2016 — Designing Your Life: How to Build a Well-Lived, Joyful Life by Bill Burnett(Author), Dave Evans(Author) — Knopf; 1 edition (2016). – no “career” is permanent. This book will help you design your life: your work life; your personal life. 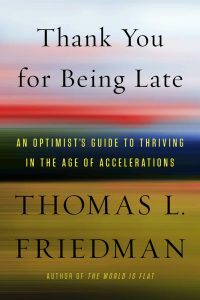 January, 2017 — Thank You for Being Late: An Optimist’s Guide to Thriving in the Age of Accelerations by Thomas L. Friedman. Farrar, Strauss, and Giroux, 2016. – another book to help you think through the technological changes we are facing. 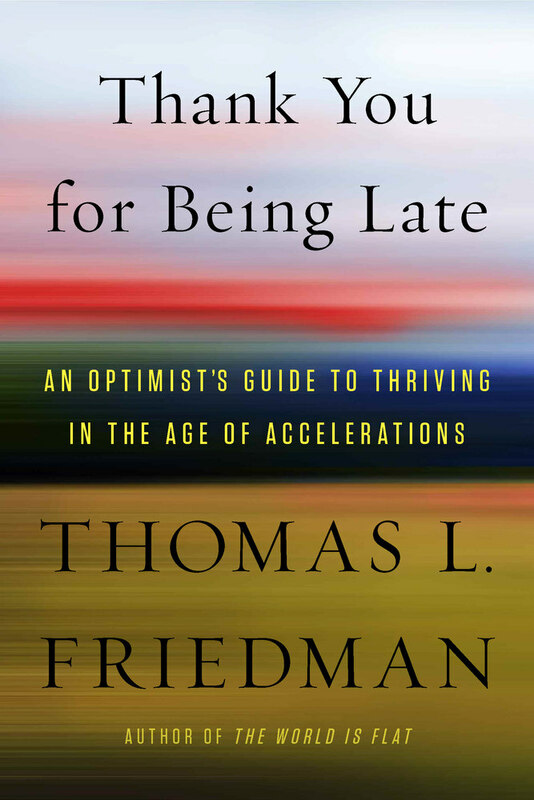 The phrase “the age of accelerations” captures exacltly the way the world feels to us all. February, 2017 — The Undoing Project: A Friendship That Changed Our Minds by Michael Lewis. W. W. Norton & Company. 2016. – This is almost like reading Daniel Kahneman himself. A great story of two men that, in their work together, taught us much about thinking, fast and slow. And, by the way, Michael Lewis is among the very best of writers. March, 2017 — Tools of Titans: The Tactics, Routines, and Habits of Billionaires, Icons, and World-Class Performers by Timothy Ferris. (Arnold Schwarzenegger, (Foreword). Houghton Mifflin Harcourt. (2016). – this is a hodgepodge from the energizer bunny Tim Ferris. It is filled with useful life hacks from the guests on his podcast. 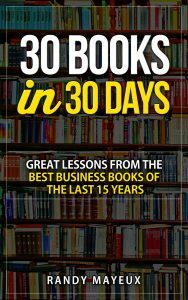 I include it in this list for one main reason: since reading the book, I have been doing pushups every morning. I shave, I do pushups, I shower. And, yes, I feel better because of it. June, 2017 — The Attention Merchants: The Epic Scramble to Get Inside Our Heads by Tim Wu. Knopf (October 18, 2016) – If you want to understand the history of propaganda, and persuasion, and advertising, this is the book! How do people/companies get, and keep, our attention? This is the question this book answers. 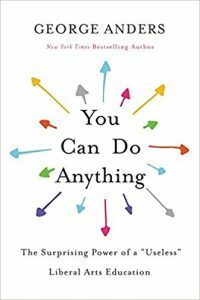 October, 2017 — You Can Do Anything: The Surprising Power of a “Useless” Liberal Arts Education by George Anders.Little, Brown and Company (2017). – I love this book. I suppose because my education is all liberal arts. But, George Anders describes the power, and the real-world value, of such an education. November, 2017 – The New Leadership Literacies: Thriving in a Future of Extreme Disruption and Distributed Everything by Bob Johansen. Berrett-Koehler Publishers. (2017). – I sponsored an entire workshop based on this book. It was a good workshop; valuable! 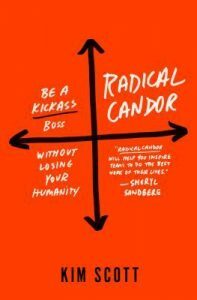 It includes some genuine new insights for the job of leadership in this volatile time (this VUCA time). March, 2018 — Great at Work: How Top Performers Do Less, Work Better, and Achieve More by Morten Hanson – Simon & Schuster (January 30, 2018) – A book with multiple insights into how to help people be great at work by focusing on just a few areas worthy of focus. May, 2018 — The Excellence Dividend: Meeting the Tech Tide with Work That Wows and Jobs That Last by Tom Peters. Vintage (April 3, 2018). – Put it simply: this is the life’s work of the excellence guru. Yes, it will help you think about doing your work with excellence. June, 2018 — Factfulness: Ten Reasons We’re Wrong About the World–and Why Things Are Better Than You Think by Hans Rosling, Anna Rosling, and Ola Rosling. 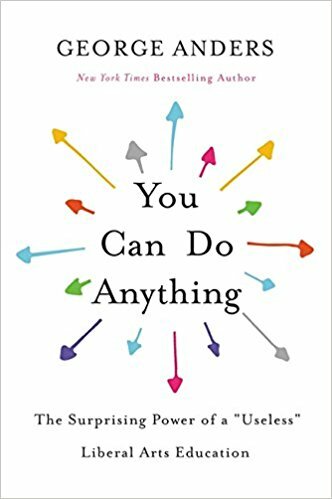 Flatiron Books (April 3, 2018) – this is the book that Bill Gates said was the most important book he has read over the last few years. He gave a free copy to all 2018 college graduates in the U.S. Basically, this book says we get our thinking wrong about what we “know,” because we don’t know the facts — the current, accurate facts. June, 2018 — The Captain Class: The Hidden Force That Creates the World’s Greatest Teams by Sam Walker. Random House; (May 16, 2017). – A truly terrific book on leadership, learning from great sports captains. A wonderful read! July, 2018— Measure What Matters: How Google, Bono, and the Gates Foundation Rock the World with OKRs by John Doerr; Larry Page, (Foreword). Portfolio (April 24, 2018). – We must learn to measure what matters. And then, we must actually measure what matters, and act on what we learn. This is a smart book. August, 2018 — The Culture Code: The Secrets of Highly Successful Groups by Daniel Coyle. Bantam (January 30, 2018). – Another book that teaches us that the secret of building and maintaining a great culture starts at the team level. Build great teams, and you will build a great culture. August, 2018 — The Power of Moments: Why Certain Experiences Have Extraordinary Impact by Chip Heath and Dan Heath. Simon & Schuster. (2017) – Life, and success, is lived and built one moment at a time. We remember the moments that lift us. Another great collection of stories. (The best books have great stories!). 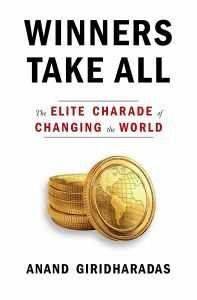 October, 2018 — Winners Take All: The Elite Charade of Changing the World by Asand Giridharadas. Knopf (August 28, 2018). 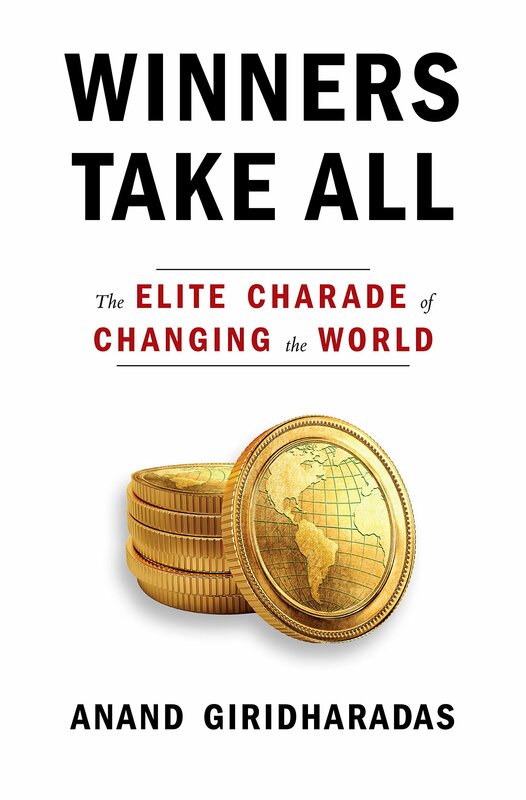 – This book has sparked a lot of conversation, about the growing inequality, and the mistakes made by the uber-wealthy in their thinking about wealth and philanthropy. December, 2018 — Atomic Habits: An Easy & Proven Way to Build Good Habits & Break Bad Ones by James Clear. Avery (October 16, 2018) – THE book to help you get rid of bad habits; and build good habits. 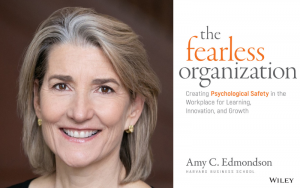 March, 2019 — The Fearless Organization: Creating Psychological Safety in the Workplace for Learning, Innovation, and Growth by Amy Edmondson.Wiley; 1 edition (November 20, 2018). 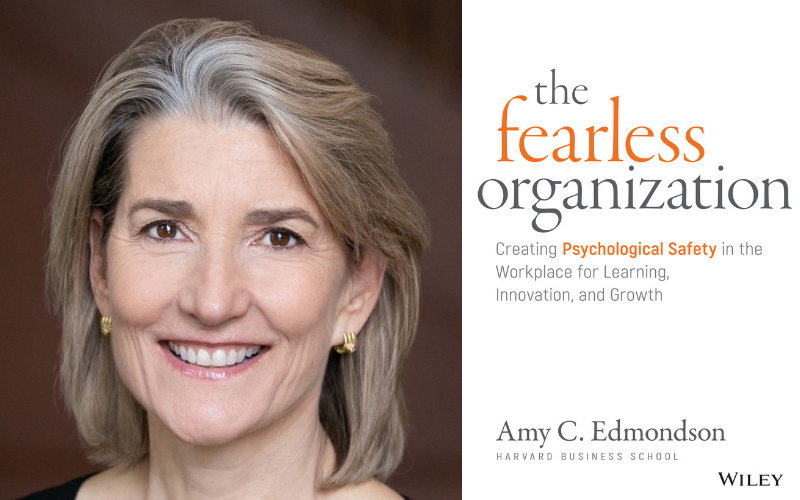 – The book that explains how important it is to speak up at work. What is needed is an environment of psychological safety. Another important book! This is just a partial list of the books we presented during these most recent years at the First Friday Book Synopsis. There are other very good selections; many others. And, as we begin our 22ndyear, I am confident of this: there will be more good books headed our way. After all, there is always the next new thing to learn! So, KEEP LEARNING. ps — for many years, we have recorded our synopses, and made them available for purchase. (audio recordings, plus the pdf of each synopsis handout; multi-page; comprehensive). Click here for the newest additions.